Brand Marketing is another important part of your business, probably as important as a good business plan. Brand marketing is a very simple technique or process, whatever you want to call it. Basically, all you need to do is to make sure that the band name of your product or service is known by people and when they see it advertised somewhere, they instantly recognize it as a very good product or service. Of course, brand marketing takes years to perfect and to get the most out of it. Just look at the largest companies of today. It took years for them to create a good brand marketing program which involved providing with quality items and also a very aggressive advertising plan. All those led to a very simple way of selling today. Look at Coke for example. The product sells on its' own, it does not need anything else. All the advertising they do consists of some promotional advertisements when they offer some prizes or something like that. Other than that you don't see their product advertised anymore. Keep this in mind, you need to constantly provide with quality products and also make sure that you understand the brand marketing will not take a couple of months, you will need to constantly take care about it during the entire period of your business. Eventually, you will have a product line that sells just because of the brand name. It seems that there are two simple types of branding. One is the personal, where you make yourself known as an expert in a specific field and the other is the company, where the entire company gets involved. Depending on where you are aiming, it will probably require a bit of both types to create a successful brand marketing campaign. Again, it is up to you to decide where you need to sped your resources, but make sure that you are not making a mistake. If your company prefers to provide with personal brand marketing you might see that at some point the expert you were marketing for leaves and you are left with an unknown company and product. It is bet to focus on both and make sure that you can easily sell the product even if the expert leaves. Brand marketing is becoming more and more important in today's companies and not because the name is that important, but because people tend to avoid unknown brands, and even if the famous brands are most likely more costly or perhaps provide with a compact item, they shall purchase the merchandise with the famous brand. 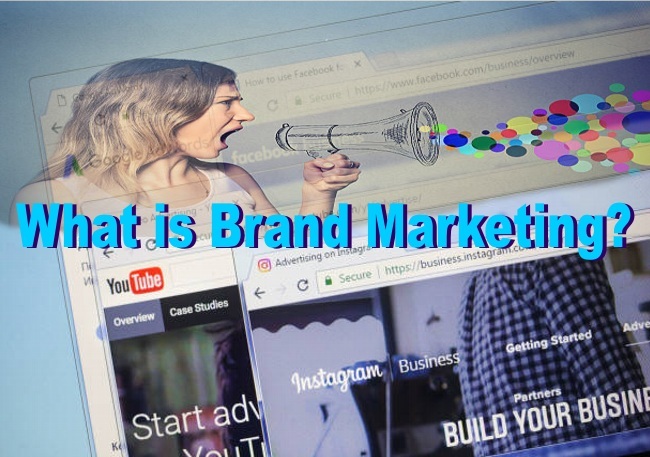 1 Response to "What is Brand Marketing?"